The English-language debut is the jagged reef against which the career of many an international art-house director has run aground, however temporarily. Some believe that even Jia Zhangke, with the Australia-set last act of his Mountains May Depart, hasn’t proven entirely immune to this rule. Yorgos Lanthimos, whose first English-language film, The Lobster, is on the New York Film Festival slate with Jia’s film, would seem to have a decided advantage in making the jump, for the Greek writer-director has been living in the United Kingdom for a number of years now and, in his post-screening Q&A, proved a fluid and comfortable English-speaker. 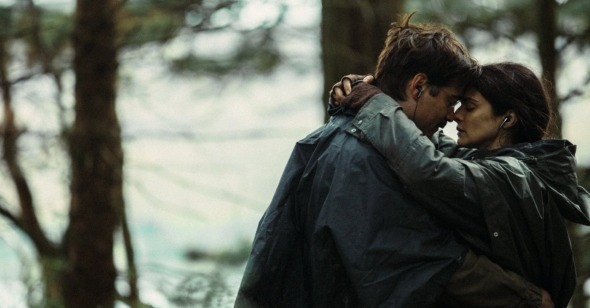 Having an ear for “natural” English dialogue, however, is almost totally irrelevant to what The Lobster sets out to do. The film’s international cast includes native English speakers like Colin Farrell, Rachel Weisz, and John C. Reilly, as well as continental actors like Léa Seydoux, Ariane Labed, and Angeliki Papoulia, though all of them deliver dialogue in much the same mannered, tin-eared cadence: unvaryingly measured, stilted in tone, unnervingly to-the-point, and devoid of any softening niceties. In a way the speech resembles that of an anxious eight-year-old, for there is a complete lack of “filter” in the way people just blurt out what’s on their minds. This may be taken as a wearisome affect, but it seems to me in the tradition of the best European art cinema, so-called, which once cultivated individual, stylized approaches to performance as most famously exemplified by Bresson and Fassbinder, but which has more recently been marked by a deadening obeisance to realism, that dingy cul-de-sac. Coupledom, we come to gather, is governmentally enforced by authoritarian dictate, and so a desire for self-preservation is, perforce, behind every union. Should there be a breakdown in communication between a newly formed twosome, the hotel manager informs them that they’ll “be assigned children; that usually helps.” This got the biggest crowd response at my screening—the laughter of recognition, for the universe of The Lobster is a distorted mirror image of our quotidian reality, in which the cultural enforcement of partnering is de facto rather than de jure, where continuing to play the field or simply remaining alone past a certain point is viewed as a species of arrested development (“On the flesh rampage, at your age?” sang Morrissey in “Trouble Loves Me”), where such once-respectable figures as the celibate priest or the spinster aunt are now viewed with suspicion at best, and where, yes, children are expected to save a marriage by way of distraction and exhaustion. Also recognizable from the earlier films is Lanthimos’s interest in designing scenes which draw attention to the physicality of his actors—it is tempting to call these moments “physical comedy,” but they are often so squeamish that much of the laughter they evoke is of the nervous and sickish variety. This penchant is evident from a moment shortly after David’s arrival at the hotel when, in a bizarre kind of hazing ritual, he has to prepare for bed by wriggling out of his pants with one hand cuffed behind his back and a padlock on his belt buckle. (Farrell, who sports a grandiose gut, has packed on significant poundage in order to play a podgy, middle-aged cuckold, but for once it feels less like a stunt than the result of an actor happily overindulging in an Irish breakfast marathon.) Later, Farrell and Weisz have a knockout scene together in which, infiltrating the unnamed outside “City” in the guise of a couple—which in fact they have become, unbeknownst to their fellow Loners—they dangerously oversell their roles, going from holding hands to hungrily sucking face during a living room recital.